Over the last 3 years, Eagle has been involved in a EU funded project, sysVASC, a bench to bedside program with a systems biology approach to identify new targets of disease progression in cardio-vascular disease. This disease killed an estimated 17.7 million people in 2015, representing 31% of all global deaths. Of these deaths, an estimated 7.4 million were due to coronary artery disease and 6.7 million were due to stroke. So quite a significant healthcare issue. In this project, Eagle Genomics led the data integration and analysis work packages. Our task was to organise and harness the value of sysVASC scientific and patient data in the context of publicly available information so that it was suitable for correlation and association analysis in order to identify potential therapeutic gene targets. We used our translational medicine platform to ingest, curate and annotate all sysVASC and public patient data to build an e[catalog] of patient biomolecular data, clinical phenotypes and therapeutic targets. This restricted data repository provided sysVASC consortium members with federated access to all project resources. 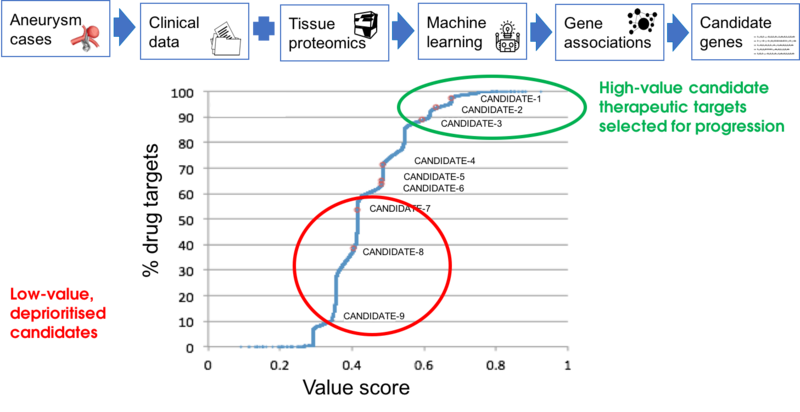 With the data prepared and integrated, biomolecular screens were performed using machine learning to predict associations between genes and clinical phenotypes. From the variety of data provided by the project partners, the identification of potential new targets was in fact the “easy” part. Over 9 candidate genes were identified through various analysis methods. As the consortium prepares to write a grant for the next step of target validation, they already know they won’t be able to fully investigate all 9 genes and they had to make a choice for the most promising targets. That is where Eagle’s data valuation technology came in handy. 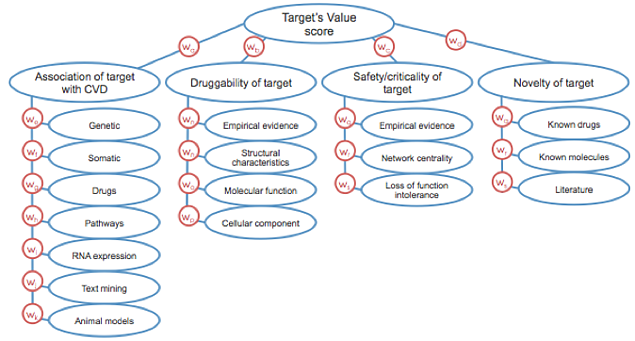 Our experts, together with our sysVASC partners, defined the dimensions relevant to score our target list based on association with CVD, druggability, safety/criticality and novelty of target and derived a hierarchical AI valuation model. The model was used to score all human genes according to their value as novel therapeutic targets for CVD. Candidate targets emerging from sysVASC biomolecular association screens were analysed in the context of the overall value distribution thus allowing us to prioritise those candidates to progress to the next stage of the target validation grant application. Those familiar with the world of early R&D in the pharmaceutical industry can immediately see how this very generic and elegant prioritisation approach can be applied across the board to all therapeutic areas in a large organisation and precisely inform the next focus of research. The model can furthermore incorporate market access dimensions or competitive positioning thereby informing portfolio management and investment decision making. Scientific data and information security specialist, Eleanor Stanley is a biocurator at Eagle Genomics, and is also responsible for information security. She joined the company in mid 2014 from the Wellcome Trust Sanger Institute (WTSI), where she worked as a bioinformatician building a pipeline for genome annotation within the 50 Helminth Genomes Initiative, which is part of the Global health research project at WTSI. Eleanor’s entire career since University has been biocuration, though she had a flutter and gained a Masters degree in bioinformatics in 2012. 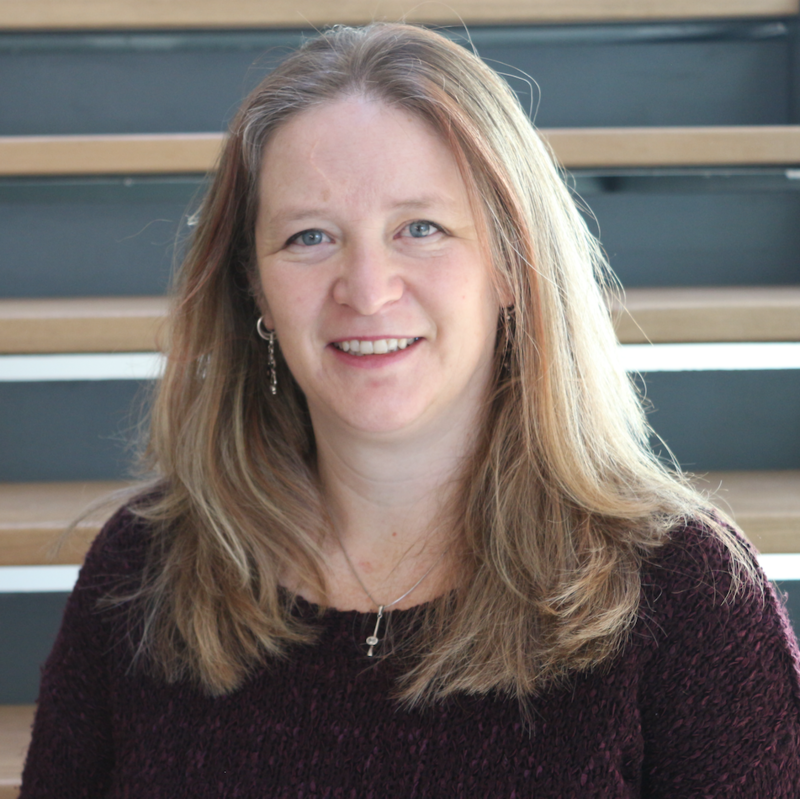 She began as a literature curator with FlyBase at the University of Cambridge and then UniProt at European Bioinformatics Institute (EMBL-EBI), focusing on Drosophila, worms, alternative splicing and complete proteome sets. From here she mixed bioinformatics and biocuration at WTSI, building a gene annotation pipeline and taking her automatically generated gene models for Onchocerca volvulus and manually improving them for WormBase. "While fly biology and biocuration of worm datasets isn't the most common route into human genomics, it's all about getting new data and understanding its potential for scientific discovery. Eagle has given me a great opportunity to keep learning, such an energetic company."